What Is An Accredited Investor And Is The Definition Fair? 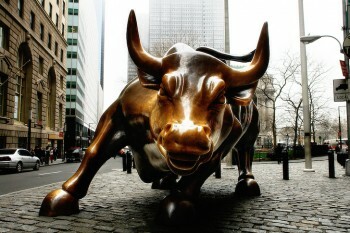 In The United States, an accredited investor is someone who has a net worth of at least one million dollars, excluding the value of their primary residence, or has income of at least $200,000 a year for the last two years or $300,000 together with a spouse, with the expectation to make at least as much every year going forward. Once you become an accredited investor, you’re now allowed to invest in certain types of private investments, which are usually less liquid, potentially more risky, and sometimes more complex than public equities and bonds. These investments include: private equity, venture capital, angel investing, limited partnerships, and hedge funds. I’ve written consistently about how I think an adjusted gross income of roughly $200,000 – $250,000 is the ideal income for maximum happiness due to the maximum you can put away in a SEP-IRA or Solo 401k, a more agreeable federal tax level, less persecution by the government, a more digestible AMT, and enough income per individual to survive happily anywhere in the world. Now we can include being an accredited investor as yet another reason to shoot for $200,000 – $250,000 in income. WHO DETERMINES THE DEFINITION OF AN ACCREDITED INVESTOR? The Securities And Exchange Commission Investment Advisory committee determined the current accredited investor definition back in 1982. As you know, $3 million is the new $1 million, so it seems like the SEC needs to do some updating. 33 years is quite a long time! Actually, they did put into new law in 2011 that the $1 million net worth must now exclude your primary residence. What’s interesting is that the Dodd-Frank financial reform law requires the Securities and Exchange Commission to revisit the accredited investor standard every four years. July 2014 marked the fourth anniversary of the law’s enactment, and the SEC is considering creating an “accredited natural persons” class, which states that the person must be both an accredited investor and also own not less than $2.5 million in investments. $2.5 million sounds like a reasonable level thanks to inflation over the past 32+ years. The question is: are the income and net worth minimums fair? IS THE ACCREDITED INVESTOR DEFINITION FAIR? The primary mission of the U.S. Securities and Exchange Commission is to protect investors. When you’ve got Bernie Madoffs running around promising 10% returns and bilking investors for billions, something is not right. Anyone who has seen Boiler Room and The Wolf Of Wall Street knows that there are a lot of scams in the wild. But why $200,000/$300,000 and $1 million in net worth before a person can decide to invest in private offerings? The theory is that someone with at least such income and net worth is more sophisticated than someone who doesn’t have such financial metrics. Furthermore, accredited investors are more able to withstand investment losses than other investors. The U.S. Supreme Court even decided last century that someone who has a lot of money “can fend for themselves” when it comes to investments. I don’t know about you, but I’m well aware of plenty of accredited investors who lose a lot of money in their investments all the time. A lot of people with money also made their fortune not from investments, but from a small business, sale of startup equity, or an inheritance. Furthermore, it’s not like someone who has a $100,000 net worth is investing the same amount of money as someone who has a $1 million net worth – the investment is likely much smaller or proportionate to one’s net worth. What about all the financial advisors who advise on various investments, but who can’t invest in the same investments themselves? Should your financial advisor be wealthier and smarter than you? I think so, but that’s oftentimes not the case. Is the SEC saying that the financial advisor or investment analyst who spends 50 hours a week investigating good investment opportunities can’t invest, but someone who might have made their millions running convenience store franchises can? Seems odd to me. We’re all adults here. Some of us may have stronger risk-taking tendencies than others. But instead of using the $200,000/$300,000 income and $1 million net worth metrics to determine who can invest in what, let’s offer up some other solutions. 1) Any person can invest in private offerings so long as they limit their total investments to no more than 20% of their net worth. 2) Any person who wants to become an accredited investor must pass an accredited investor exam, which tests a person’s investment knowledge. 3) A combination of the above two. Do you know who all the private investors are in firms like Uber, Airbnb, and Dropbox? Already very wealthy people who are going to get wealthier once there’s a liquidity event. Wealthy investors will continue to get first looks on the most promising investment opportunities, which doesn’t seem fair to the rest of the population. But, arguing fairness is futile. Even if you were allowed to invest in a private company, the founders might not want to let you invest! As a private company or fund, the owners are free to do whatever they want. As an accredited investor myself since 2003, I can tell you that I haven’t had that many more opportunities to invest than a non-accredited investor because I haven’t been actively looking. I’ve sunk about $75,000 in Bulldog Gin Co., $150,000 in a Venture Debt fund, and $100,000 in a Japanese private real estate fund, and that’s about it. Bulldog Gin signed a great distribution contract with Campari, but I haven’t seen any dividends yet and it’s been over six years now. The venture debt fund will provide a 9% minimum preferred return, which is great, but the S&P 500 has been beating that mark every year since 2009 so far. The Japanese private real estate fund has returned a solid 24% IRR since 2009. I wish it would continue forever, but the fund is returning all money to investors by 2017. There are plenty of investments out there that lose accredited investor’s money. It’s not like you suddenly are guaranteed higher returns just because the SEC now says you are savvy and tolerant enough to invest. Every investor must do their due diligence and take calculated risks, no matter how much they make or how much they are worth. Update: Starting in January 2016, all Americans will be able to invest in private companies due to the passage of Title III of the JOBS Act. Americans who make up to $100,000 a year can invest up to $5,000 and those who make between $100,000 – $200,000 can invest up to $10,000. Yes, I make at least $200,000 as an individual or $300,000 as a married couple or I have a net worth of over $1 million, excluding my primary residence. Not yet, but I plan to become an accredited investor within three years. Not yet, but I plan to become an accredited investor within five years. No, I am not an accredited investors and probably will never be one before I retire. Is the current definition of an accredited investor fair? No, the SEC shouldn't dictate what individuals can and cannot invest in. No, the SEC should raise the income and net worth limits to protect more investors. Yes, the current definition of an accredited investor is fair. * Manage Your Finances In One Place: The best way to become financially independent and protect yourself is to get a handle on your finances by signing up with Personal Capital. They are a free online platform which aggregates all your financial accounts in one place so you can see where you can optimize. Before Personal Capital, I had to log into eight different systems to track 25+ difference accounts (brokerage, multiple banks, 401K, etc) to manage my finances. Now, I can just log into Personal Capital to see how my stock accounts are doing and how my net worth is progressing. I can also see how much I’m spending every month. The best tool is their Portfolio Fee Analyzer which runs your investment portfolio through its software to see what you are paying. I found out I was paying $1,700 a year in portfolio fees I had no idea I was paying! 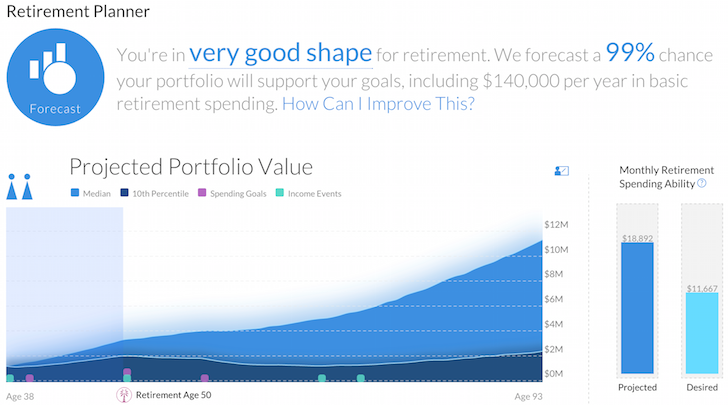 They also recently launched the best Retirement Planning Calculator around, using your real data to run thousands of algorithms to see what your probability is for retirement success. Once you register, simply click the Advisor Tolls and Investing tab on the top right and then click Retirement Planner. There’s no better free tool online to help you track your net worth, minimize investment expenses, and manage your wealth. Why gamble with your future? 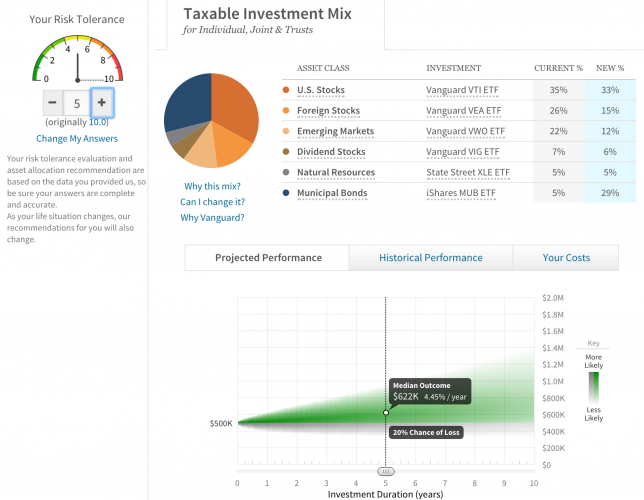 Personal Capital’s award-winning retirement planning calculator. Are you on track? About the Author: Sam began investing his own money ever since he opened an online brokerage account online in 1995. Sam loved investing so much that he decided to make a career out of investing by spending the next 13 years after college working at Goldman Sachs and Credit Suisse Group. During this time, Sam received his MBA from UC Berkeley with a focus on finance and real estate. He also became Series 7 and Series 63 registered. In 2012, Sam was able to retire at the age of 34 largely due to his investments that now generate roughly $220,000 a year in passive income. He spends time playing tennis, hanging out with family, consulting for leading fintech companies, and writing online to help others achieve financial freedom. I do not think the whole A.I. thing is fair at all. I mean really the government is trying to “protect”, I am sorry I just don’t believe that really have our best interests at heart. We live in America and we should have the right to invest in what we want too. I personally am not a fan of more regulation, if you give them an inch and they’ll take a mile. The whole thing doesn’t make sense at all. So its okay for some one to put all their money into a penny stock, IPO, risky single stocks? and quite possibly loose their whole investment. Where is the government to protect the people from doing these stupid things? Where was the government to protect people from getting into mortgages that they did not understand or clearly could not afford with their income and no emergency funds? But with this A.I. thing they are trying now protect us? Gosh I didn’t realize the definition has been unchanged for that long. That’s surprising. I think as long as there are regulators there will always be restrictions on what we can and can’t do. I think we should be able to do whatever the hell we want with our own money though. The real reason for the accredited investor laws is to limit the marketplace for the wealthy/elite in order to improve their ROI. If hedge funds and all the other creative instruments were available to everyone with capital, it would bring more competition and capital into the system, which would drive down prices and also returns. Smoothing out the up’s and downs so to speak. It’s a good point Marcus. It’s interesting how so many hedge funds still charge 2% of assets and 20% of profits. It feels like the real estate industry STILL charging 5% commissions despite the internet. interesting point. I wonder if the broker system and having to hang your license with a broker is what causes the seeming inflated cost? B/c with the ease of becoming a realtor and low barriers to entry..you would think that competition would have driven commission prices down more. I think the broker system may have something to do with that. But you are right…in the days of paper catalogues and mls, realtors were gold. Now the internet does it all for us. And the Hedge fund costs…I imagine that the accredited investor rule also favors the “producers” i.e. hedge fund managers by limiting supply and increasing prices. So yet more incentive (and campaign donations to congress) to “protect the middle class” and keep the accredited investor rules. It’s fair to say that the managing broker rule is a big part of why real estate transactions haven’t come down. By the time you’re that high in the cartel and earning kickbacks left and right, you have very little incentive to change the system. Even discount brokers like Redfin, where buyers and sellers can find themselves doing more or less all of the work, only give back 15% buy side, and a bit more sell side. I recently closed on a house (for the first time) and effectively lost $15k because of the real estate cartel, even though I found the house, ran the comps, made the offer and counters, coordinated the lawyer/lender, and did literally everything else but let myself in the front door for the viewing and inspection, because it obviously requires a very special person to perform this task. All my agent did was tell me what I was doing was the right thing to do, which I guess was comforting but I had already figured this out due to the massive amounts of public information available today. Next house I’m getting my real estate license and finding the cheapest place to hang my license I can. Also, if anyone asks, I’m definitely accredited. Haven’t been called on it yet. I think they’re generally smart rules to keep mom and pop out of dangerous, risky, illiquid investments. It’s always tragic to read another story about unsophisticated investors blowing their retirement on something dumb. It would happen a lot more if these type of investments could be marketed to them. Having said that, it would be nice if there were alternative criteria you could pass. I’m relatively high income and a CFA, but not quite at an accreditted level, so even though I consider myself relatively sophisticated, I can’t invest in those type of deals either. I also think someone like Jack should be able to put money in to the market they know (startups) and I’m sure there are other examples like that in other industries. Direct oil well investing by petroleum engineers for example. I prefer we just let mom and pop determine whether they are as sophisticated as you or Jack. Or not, what if I am not sophisticated, but just want to gamble my money away? It all comes down to how you view the role of government. If you feel like government should protect people from doing “stupid” things (and what you may think is stupid may not be what someone else thinks is stupid), then the AI rules probably make sense. If you are of a more libertarian mindset like me, then you do not feel like the AI rules are needed. Of course, Marcus (below) really gets it. Most government rules (including the AI rules) are put in place to protect the people who can make the rules – the promoter class. They are protected from competition and they are protected from claims of misrepresentations. They are simply sold to the public as a means of protecting the moms and pops (as you put it). Shouldn’t mom and pop have access to the same types of funds that are making people really wealthy? Wouldn’t that be better than resorting to buying lottery tickets, buying equally (and more risky) schemes that are legal? The promoter class and their protection, something you and the community have brought up that makes a lot of sense. Imagine a ‘promoter’ lose money (happens all the time) and someone who invested their life savings in the investment lost all their money. The promoter would be ruined with bad publicity and never be able to get back into business again perhaps. Its more than that. There is also the risk of a sympathetic jury. All the facts could be the same, but a jury is going to care more about a “mom and pop” losing their life savings of $100,000, than an AI who loses $100,000. I wouldn’t be upset if those rules were gone. I’m generally of a libertarian mindset. I think people should be free to blow their money however they see fit. I can also see the other side of the coin though, that it helps discourage a type of investing that most people shouldn’t be involved in. I know it won’t happen, but 31.8% on dividends if you’re over 250K (28% plus Obama Care 3.8%)….really? Damn, I LOVE ketchup! So much sugar in it.. so good. No wonder the Heinz family are so rich. Lucky Senator Kerry! I’ve got a post SOTU post for you. Stay tuned. $250,000 or less or bust! Living and working in silicon valley, I’ve had several opportunities to invest in friends or colleagues startups. However, not being an accredited investor, I’ve had to pass. It’s incredibly frustrating knowing the tech and the people but not being able to share in their success. People do need to be saved from themselves from time to time, but there are better ways to do it. I like the X% of your liquid assets limitation, myself. I graduated last year and have recently started working as an analyst. Due to the accredited investor requirements, I cannot invest in the products I help manage. It is funny, but I would say that as a first year analyst, you’ve got much to learn. Perhaps 5 years as a financial analyst and then green light by Big Brother perhaps? I think it’s a good definition, even though it is paternalistic, the intention is to protect unsophisticated investors from investing their nest egg in something that is not subject to audits and other measures designed to protect individual investors. There are, sadly, many dishonest fund managers. I agree that there should also be a means test, and maybe a sliding scale, so that investors with a liquid net worth of say $500,000 who score very high on the test can be deemed an accredited investor. Also, to your survey question about whether the SEC should raise the income and net worth limits to protect more investors, they sort of already do this by distinguishing between qualified clients (ie, accredited investors) and qualified purchasers (ie, super-accredited investor/$5m net worth). The fund that I am most familiar with accepts very few QCs and a lot of QPs. I haven’t heard much of the “qualified purchasers” definition. Did your fund check that you were a QP? Or did you just self-acknowledge so? I have a long way to go before becoming a qualified purchaser myself! I work in this area so I understand the structure. Most funds allow qualified purchasers to self-acknowledge. When a fund’s investors are qualified purchasers, the fund less regulated by the SEC. If I remember correctly Dodd-Frank did add the exclusion of the personal residence in the net worth determination. Previously it was simply a million dollar net worth regardless of source. Considering most people have a significant portion of their net worth derived from their individual residence that alone acted to raise the bar to become an accredited investor considerably. It’ll take me five to ten more years to gain that million dollar mark (exclusive of my home) and I plan on fully taking advantage of accredited investment opportunities in real estate development deals. Did they make that change recently? If so, then well done by the government for doing something for the first time in 33 years about better defining “accredited investor”! Good luck on your journey towards accredited investor Jon! These are the kinds of posts that make your blog standout, thanks Sam. Fantastic find! Thanks for contributing. 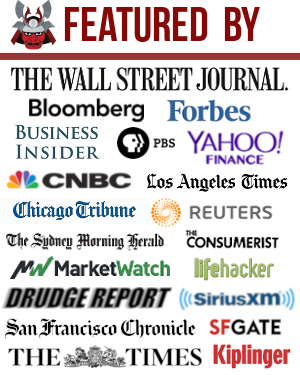 Doing one thing in 33 years to the accredited investor definition is not bad! Sam, we have had a conversation on this in the past. I advise clients often on the AI rules, yet I do not meet the definition of an AI. I would scrap the AI rules altogether. Of course, I am of the belief that the AI rules are really there to protect the promoter and not the investor. That must be frustrating. But if the government allowed everyone to pay their taxes at year end, you can bet your bottom dollar the government would lose a lot of money b/c people would not pay or disappear! I am not familiar with that term here in Canada but I was recently rejected for something I wanted to invest in because the company set terms for investors that I could not meet. It is a farmland REIT and investors must make $125,000 each year with the expectation that they will make that in the coming years and that they must have a net worth in excess of $400,000. Very frustrating to be barred from solid investments. People must feel the same about the accredited investor title. Without knowing more, this is how it should be done. Individual companies or promoters should set their own rules/limits. I will have to start buying lottery tickets if I want to hit accredited level. The company I was interested in investing with, Agcapita, sells units in $5,000 blocks. I could easily manage that but I am still not welcome. I spent an entire day ranting to family and coworkers and I felt a lot of resentment towards the company and the 1%. I am over it now but this is a very sound investment and I am stuck outside with my nose pushed up against the glass looking in feeling like the best investments are being kept from lower income people like me. That is interesting that one can get in for only $5,000 with that particular investment. In the US, general minimums are $25,000 – $50,000, but often times much more. There will always be other investment opportunities! I feel your frustration, but I can’t blame the offereror. They don’t want people investing their housing and food money in their deal. Much better for them to have people where the investment represents a small amount of their net worth. Much less liability and it is easier to deal with people where the investment does not make up such a huge amount of their net worth. The definition of accredited investor is actually dangerous since most people who become millionaires do not know much about investing… At all. If you look at who has a $1M+ net worth, large majority have next to no knowledge of how to invest in the fire replace. Then you sign them up for risky ventures and they may lose 6 figures or more in single year. Income/net worth =/= knowledge of investing. This rule works well if you work in finance, not so much for all other industries. There should be a standardized test for becoming an investor. Doesn’t need to be complicated, but if you don’t know what a lock up agreement is for a private compny looking to go public… You should t be able to invest. This of course won’t happen, since the government has no I terest in educating people on how to run their finances. At least we have all those useless humanities courses to take! Nor should the government have any interest in educating people about investing and/or testing them on their knowledge. Why would we as a society want to give the government this power? Investing is highly personal with different risk tolerances. There is simply no way for the government to account for this. The AI rules protect the promoter who can hide behind the rules. Theory: Perhaps the less the government can education Americans about their personal finances, the more the government can manipulate people to depend on the government to survive in order to retain power? Why else is the government tax code 70,000+ pages long? Why else hasn’t the government mandated at least basic personal finance be taught for one semester in high school before student go off to blow up their lives with credit cards? I don’t know. I’d love an answer. I’d like to think the simple answer is because Article I does not give the government the power to set any type of educational curriculum. Again, I’d like for that to be the answer – but I know it isn’t. I like your proposal on changing the whole accredited investor requirements. As you pointed out I know many “accredited investors” that have absolutely know idea what they are doing with their money. Shoot I know accredited investors making big money that don’t have any money to even invest. How enforced is the accredited investor rules? If you look at some of the real estate crowd sourcing platforms it just a series of questions that you answer as to whether you pass the “Test”. Is anyone actually going around verifying this? In most offerings, you represent that you are an AI. Again, this protects the promoter. If an offering goes bad, the promoter can say it was limited to AI’s and each investor represented that they were AIs. It makes it more difficult for investors to bring claims of misrepresentations. Probably to prevent those interviews on CNN/FOX like there were after Enron and others blew up with the poor old grandmas who invested their entire 401k and personal savings in company stock and then whined when the company went under and their life savings were wiped out. Unfortunately, those who are incompetent caused politicians to believe that all who are not wealthy (defined as >1million net assets or >200k income) are unlikely to complain if things go south. Verification is something I’ll discuss in an upcoming post. It’s a very interesting situation! I was wondering about verification as well. I am not yet considered an accredited investor, but I’m well on my way early in my career and consider myself much more financially savvy than most people that are accredited. Recently, I attended a local real estate club event where they presented a Builder Development Syndicate that they were offering for investment. To get additional information, you needed to “say” you are an accredited investor, and since I was curious I said I was. I didn’t end up investing in the offering since I didn’t have the minimum investment of $50k ready to deploy, but if it was ready I probably would have pulled the trigger. Would there actually have been a verification process? From what I could tell, they just required the investor to verify that they are accredited, nothing more.